They say “ the more you read the world, the more defensive you become”. 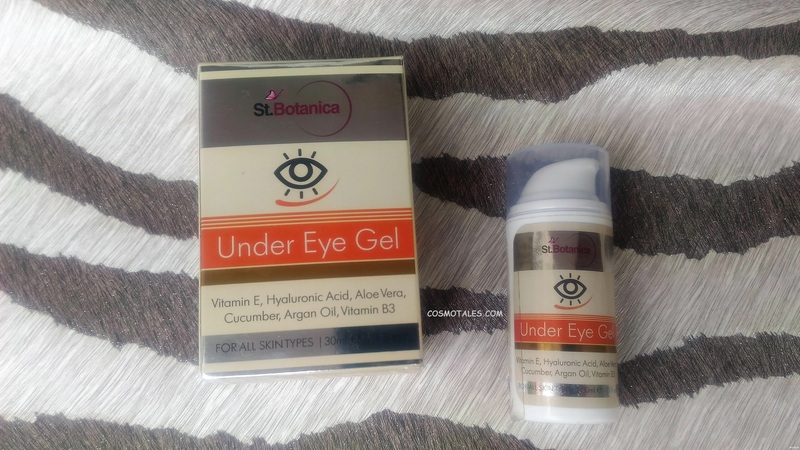 Some parts are true in my case as I go gaga over reading more and more about beauty products, new ingredients that have landed up into skincare ranges and their prolonged effect on the skin. HuH ! 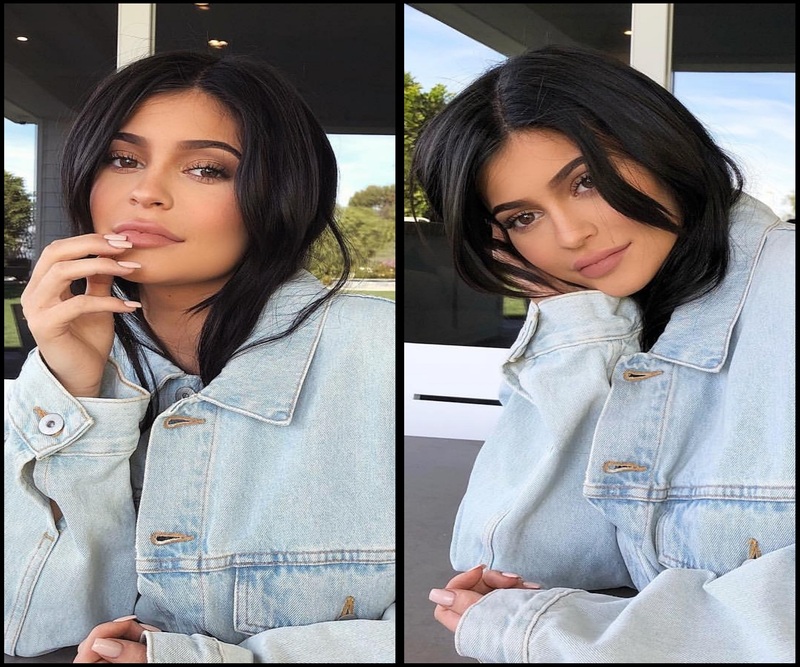 that’s the real culprit I was caught up with chemicals that are used by beauty industries and their harsh effect over years on your dermis. And here started my quest to find safer products that won’t damage and are not tad for any reason. In this journey I really discovered few amazing Indian Cosmetic brands that works really as good as Refined lab formulated international products. 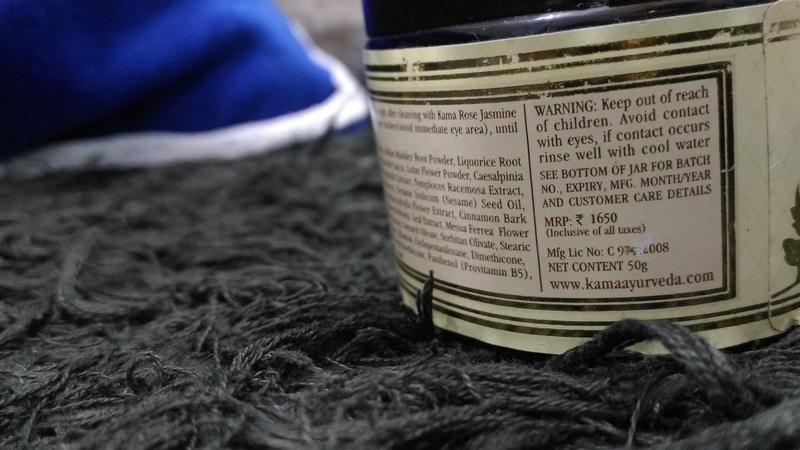 And so today I am going to review a truly organic night cream from Kama Ayurveda. I typically took up around winters due to my fluctuating skin type from normal to almost oily around summers. 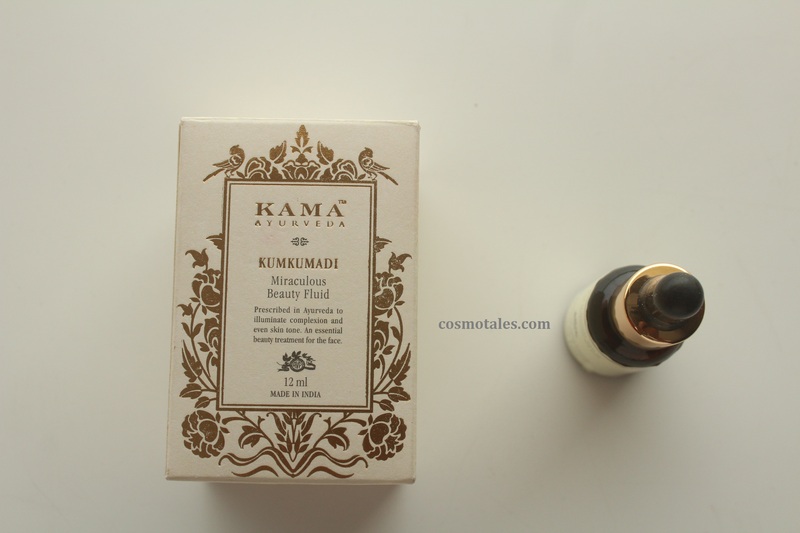 Night creams generally made heavy textured and quite rich with emollients to deeply nourish your skin while you sleeping overnight and Kama Ayurveda Rejuvenating & Brightening Ayurvedic Night Cream is no exception. The product comes in a luxurious paper box packaging that encloses this beautiful dark brown glass bottle of night cream. The black colored screw tight cap prevents any spilling of the product making it quite travel-friendly. The bottle showcase all the description of the product, ingredients, direction to use and price. All in all impressive packaging. 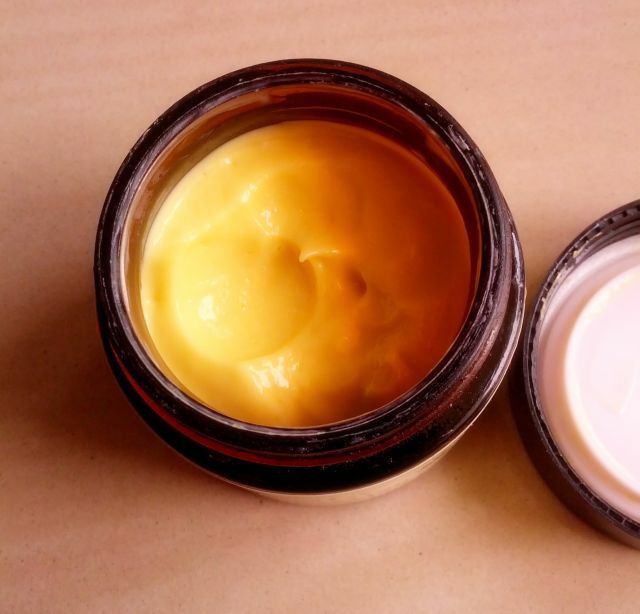 The night cream is fluffy whipped rich cream with pretty yellowish tone. You have to work out for a minute to get it absorbed, but once absorbed it makes the skin pretty tight. Once put on the skin it does feels a bit heavy but once you start massaging within a minute it sinks into the skin and feels absorbed with almost no residue. INR 1650 for 50 gm. Yes, it is quite expensive than other night creams in India but then the cream lasts for almost 2-3 months depending on usage. Due to its thick consistency, you eventually tend to use just a little bit of the product. All best quality and 100 % natural ingredients. 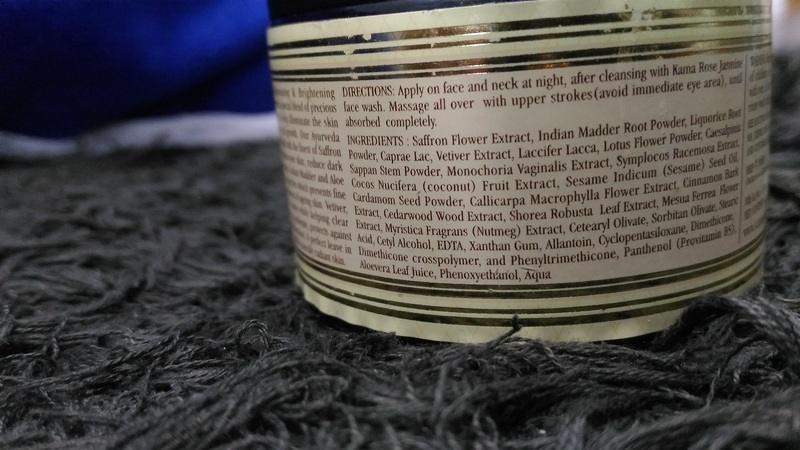 Take a look over the ingredients. Well, initially I bought it for my mother but eventually, I tried my hand over it. Winter is coming and my skin turned quite demanding for heavy duty moisturizer. Finally, I gave it a try. First I thought it would be quite heavy on my skin but then after massaging it for about a minute, it easily sinks into the skin. I felt that it made my skin quite tight but then at the same time it made my skin nourished too. 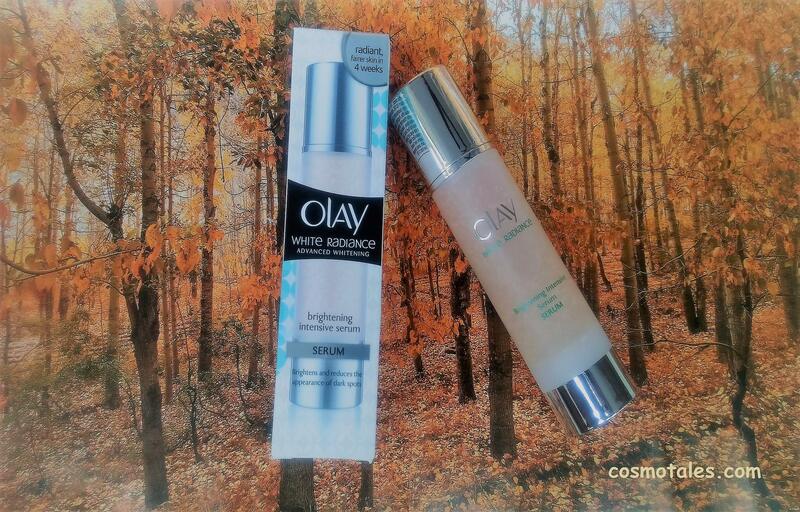 It claims to diminish blemishes and prevents fine lines but thankfully I blessed till now to not witness any of it but yes I did had 2-3 acne marks so was pretty tracking it diminishing effect but nothing magical. Though the sports have not been completely faded but yes have diminished to a much better extent in 2 months. 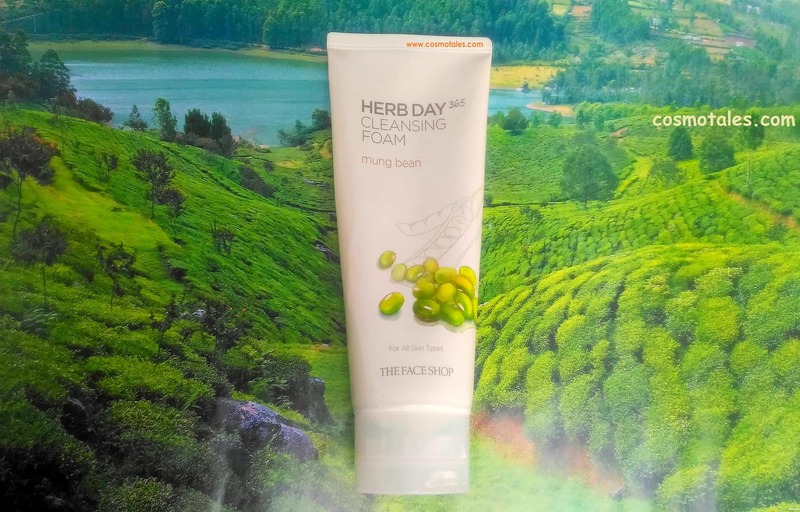 It does well for nourishing and restoring skin, yes it works wonders in brightening the skin making the proud owner of nourished soft and supple skin. 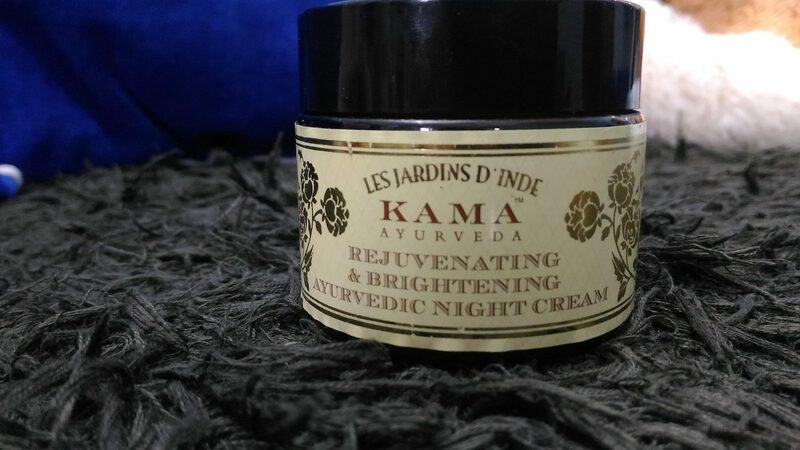 Its recommended for a good night cream or a heavy duty night moisturizer that will give nourishment and makes skin soft and radiant but if you have specific concerns like blemishes, dark sports or any won’t I wont recommend Kama Ayurveda Rejuvenating & Brightening Ayurvedic Night Cream for a take. As it will show any results for the same over a very long time and thanks to other products promising eradicating concerns over few weeks that had made us impatient. From my side 3.5 out of 5. 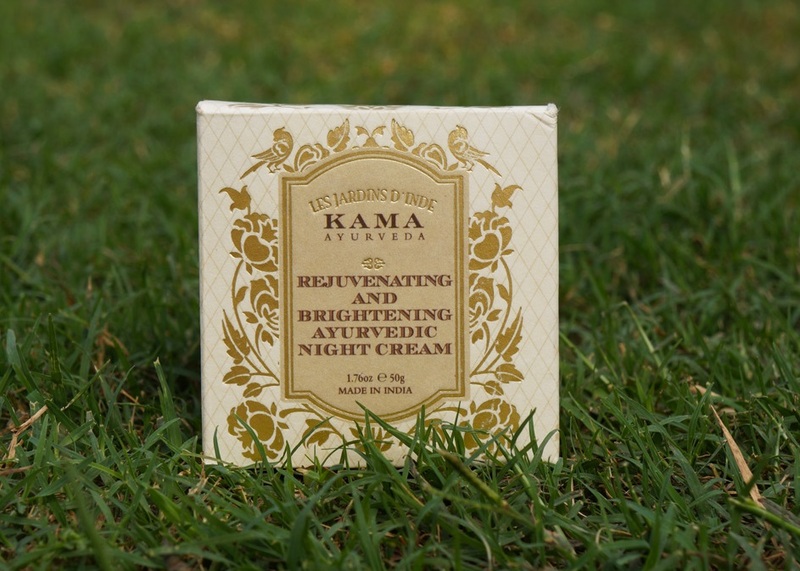 This incredible Rejuvenating & Brightening Ayurvedic Night cream is a special blend of precious and rare ingredients to help illuminate the skin colour and promote cell growth.Vetiver, and lotus cool and cleanse while helping clear blemishes. Liquorice, an antiseptic, protects against bacterial and fungal infections. A perfect leave in night treatment for youthful naturally radiant skin. Is a special blend of precious and rare ingredients to help illuminate the skin colour and promote cell growth. 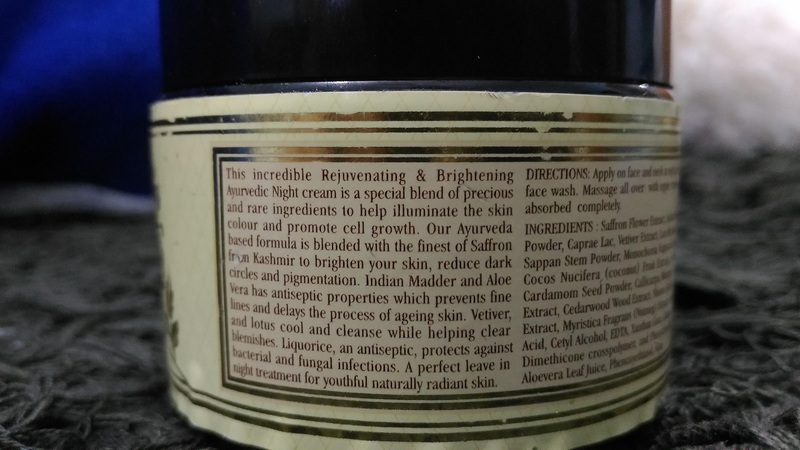 Our Ayurveda based formula is blended with the finest of Saffron from Kashmir to brighten your skin, reduce dark circles and pigmentation. Indian Madder and Aloe Vera has antiseptic properties which prevents fine lines and delays the process of ageing skin. Vetiver, and lotus cool and cleanse while helping clear blemishes. Liquorice, an antiseptic, protects against bacterial and fungal infections.